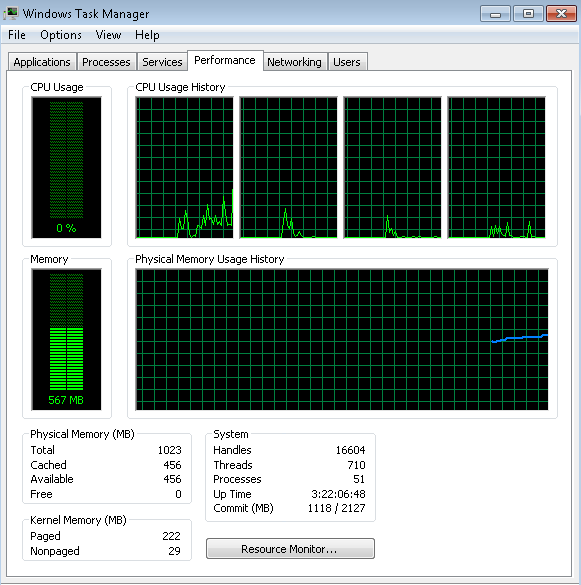 This tutorial will show you the steps to check CPU load, memory consumption and file/folder is consuming more disk space on Windows servers. 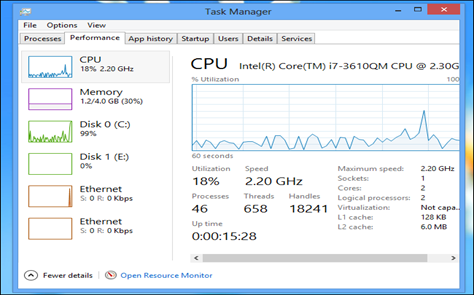 The Performance tab shows graphs and details of the PC performance metrics. Also note the Open Resource Monitor link at the bottom, providing a path to this other interface when you need to do additional troubleshooting. 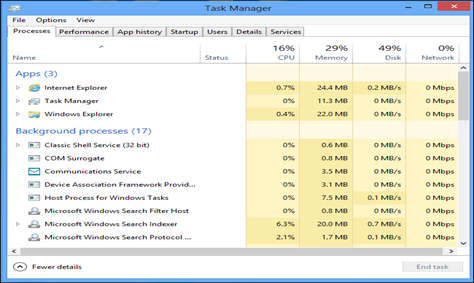 If a process is misbehaving — for example, you may have closed a program/application and it continued running in the background, possibly using 99% of your CPU — sorting by CPU and memory usage will show you the misbehaving process consuming too many resources at the top of the list. Right-click the process and select End Task to close it if you can’t close it normally. 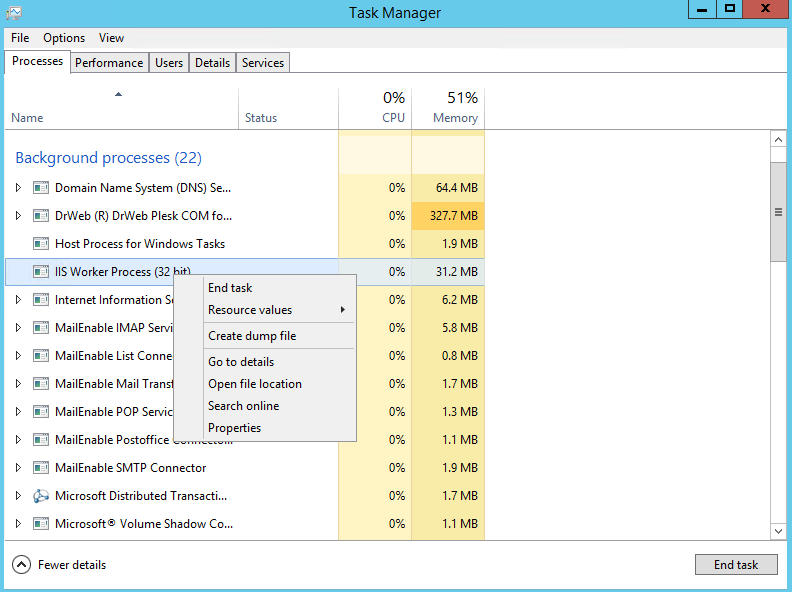 To check individual folder disk usage details, right click on the folder and click on “Properties” option. 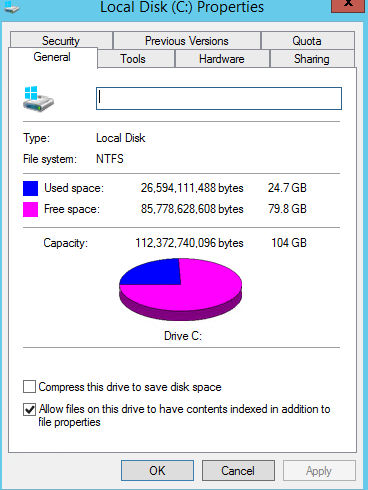 Under General tab, you will see the uses space and free space information about the disk. 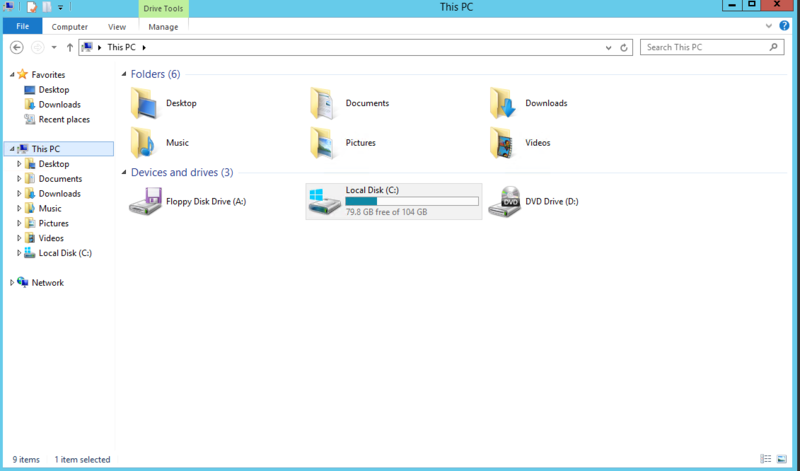 You can delete unwanted files like log files, temporary files, backup files to reduce the disk usage.